Keep your mics dry and your speakers safe! Your microphone is begging you for the CAD EPF-15A 6-Inch Flexible Pop Filter. Would you take your brand new microphone into the shower with you? Didn't think so! But every time your singer starts belting out the chorus, they're bathing that mic in a spray of moisture. What's more, when they sing a word that starts with "p" or "b," the VU meters go ballistic! Here's the solution-the CAD Pop Filter. The washable nylon mesh screen gently breaks up that explosive rush of air while allowing high frequencies through and keeping moisture out. The flexible gooseneck holder and swivel mount make it easy to put the Pop Filter exactly where you need it! Protect your investment! Order the Pop Filter today! 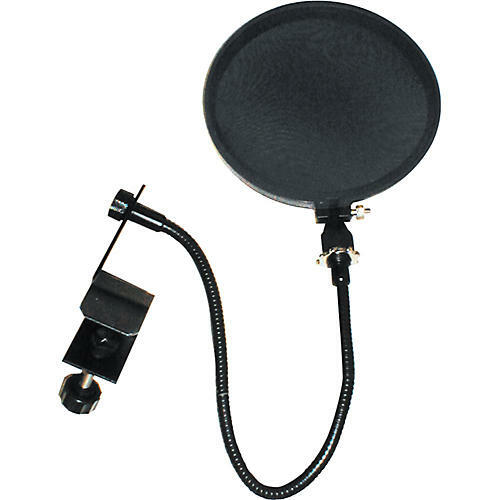 6" diameter circular pop filter; flexible gooseneck holder; universal mic stand clamp.